As part of Standard Chartered’s global transaction solutions to Corporate and Institutions, we provide Cash Management, Securities Services and Trade Services through our strong market networks in Asia, Africa, the Middle East and Latin America. We also provide a bridge to these markets for clients from the U.S and Europe. World-class clearing services thus ensuring a full suite of transactional products for your needs. It’s Cash Management Services cover local and cross border Payments, Collections, Information Management, Account Services and Liquidity Management for both corporate and institutional customers. Receivables Management – ensuring receivables are collected in an efficient and timely manner to optimize utilization of funds. Risk Management – ensuring effective management of debtors to eliminate risk of returns and losses caused by defaulters and delayed payments. Inventory Management – ensuring efficient and quick turnaround of inventory to maximize returns. Cost Management – reducing interest costs through optimal utilization of funds. The Standard Chartered Collections Solution leverages the Bank’s extensive regional knowledge and widespread branch network across our key markets to specially tailor solutions for your regional and local collection needs. With our global experience and on-the-ground market knowledge, Standard Chartered will help you define an overall cash management strategy which incorporates a liquidity management solution that best meets your needs. Click here for an illustration of our propositions. Standard Chartered’s Straight Through Services (STS) Payments Solution can be tailored to the different payment needs of companies, whatever industry, size or country you may be in. With a comprehensive End-to-end Payment Processing Cycle, STS allows companies to process a variety of payment types, whether they be domestic or international, local or central in different countries, all in a single system file. To realise the benefits of STS, please contact your local Relationship Manager or Cash Management representative. With increasing business globalization, your banking network may not have sufficient reach. You may not want to put in the extra infrastructure or resources to expand your network but still want to ensure your clients’ transactions are serviced efficiently. Clearing is one of the important services in which your bank would need support to facilitate your clients’ smooth international trade and cross-border transactions. Standard Chartered’s international network and multi-currency capabilities are well placed to provide you with a seamless service for all your clearing requirements worldwide. Our network extends across Africa, the Middle East, South Asia, Latin America, the USA and the UK. You can count on our over 150 years of on-the-ground experience to tailor a clearing solution that meets your needs. Standard Chartered is a correspondent banking partner you can trust to make this potentially complicated process much easier for you. Click here to view our international network. We tailor clearing solutions to address your specific needs whether in one or multiple countries, or to complement our other services. Continuous Linked Settlement (CLS) is the new private sector response to increasing regulatory pressure to reduce foreign exchange settlement risk exposures. The initiative has been live since the end of 2002 and is endorsed by the G10 central banks and lead regulators. The primary objectives of CLS are to eliminate the inherent settlement risk from the current foreign currency settlement processes and to provide a mechanism for containing any systemic risk arising from the failure of a major market participant. Standard Chartered Bank has been deeply committed to this industry initiative since its inception in 1997 and holds full shareholder status in the new Bank. Standard Chartered operates as a full Settlement Member within CLSB and extends comprehensive Third Party services to our customers, enabling them to take full advantage of the settlement risk benefits associated with FX settlement through CLS. With Standard Chartered’s Cash Management services, you’ll always know your exact financial position. You have the flexibility to manage your company’s complete financial position directly from your computer workstation. You will also be able to take advantage of our outstanding range of Payments, Collections, Liquidity and Investment Services and receive comprehensive reports detailing your transactions. With Standard Chartered, you have everything it takes to manage your cash flow more accurately. Standard Chartered, established since 1948, is highly reputable in providing flexible and innovative financial services solutions. We adopt a proactive approach in tailoring customised packages to meet our customers’ ever-changing needs. We apply state-of-the-art technology to automate our daily operations and electronic delivery system has been put in place to ensure that transactions are handled swiftly and efficiently. Our dedicated Customer Service Centers are staffed with experienced Cash Products Specialists to ensure that all our customers are well served. Standard Chartered fully understands the importance of time, convenience and efficiency to the success of your business. We make easy the complex financial world for you and help you maximise every opportunity. With over 140 years of experience in trade finance and an extensive international branch network, Standard Chartered is committed to help you succeed in every competitive environment. To keep pace with your changing needs, we constantly review our comprehensive products and services, ensuring that a full range of flexible and innovative services is always available for you wherever you trade. Standard Chartered is highly recognised as a leading cash management supplier across the emerging markets. Our Cash Management Services cover local and cross border payments, collections, information management, account services and liquidity management for both corporate and institutional customers. settle payments to your suppliers in a timely and cost-effective manner. In Bangladesh, Standard Chartered customers have access to a 18-branch, 6-city, 25-ATM banking network. Customers can operate their accounts through any of our fully automated offices in Dhaka, Chittagong, Sylhet, Bogra, Khulna and Narayanganj. They can perform Cash deposits and withdrawals, Cheque Deposits, Fund Transfers, make transactional queries, give cheque book requisitions, ask for account statement and pay utility bills. 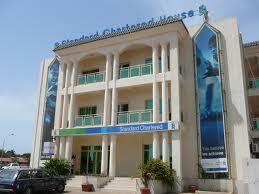 At Standard Chartered, we provide a wide range of account services for our Corporate Customers. Our Corporate Accounts are managed by dedicated Account Relationship Managers, who maintain regular and close contact with our clients in order to understand their requirements and service them better. Current Accounts—These are checking Taka accounts through which funds can be freely deposited and withdrawn. Corporates typically use them for most of their transactional requirements which includes collections as well as payments. Collections may be in the form of cash, cheques, pay-orders/demand drafts and even inward remittances from abroad. Similarly, payments may be in the form of cash, cheques and other available mechanisms. Short Term Deposits (STD)—These are similar to current accounts in operation accept that they do not have checking facilities and they earn interest, which is calculated on a daily balance basis and credited at periodic intervals. The STD account is a useful mechanism to earn interest on idle funds for companies that can not commit fund for longer period of times in Fixed Deposits. Fixed Deposit Accounts— Fixed Deposits are for varying tenors; current offerings range from 1 month to 5 years and the interest rate also vary correspondingly. Fixed deposit accounts can not be used for transactional purposes and interest can only be earned upon the maturity of the deposit. Savings Accounts— These accounts are mainly aimed at the individual and are usually offered for Corporate employees. However, Corporate Provident Fund accounts, Gratuity Funds, etc. can also use such accounts, providing statutory appropriate approvals are held. Convertible Accounts— The Convertible Account is a checking current account with balances denominated in Taka. Payments or withdrawals from this account can be made in both Taka and Foreign Currencies; however funds deposited must have a foreign currency source. Strict Exchange Control Regulations govern the opening and operation of Convertible Accounts and it is advisable to discuss these in detail with the Bank before opening such accounts. Foreign Currency Accounts— In addition to the various local currency accounts, there are two types of Foreign Currency accounts available: a USD/GBP checking Current Account or a USD/GBP Fixed Deposit which is also called a Non-resident Foreign Currency Deposit ( NFCD) and which earn attractive interest rates. Strict Exchange Control Regulations govern the opening and operation of Foreign Currency Accounts and it is advisable to discuss these in detail with the Bank before opening such accounts. e-Banking provides you with a full range of reporting capabilities, and a comprehensive range of transaction initiation options. Whether it is cash or trade related, the user-friendly e-Banking customer workstation will provide you with a secure, reliable and effective link between you and your accounts anywhere across the Standard Chartered network with more than 500 offices in more than 50 countries. Once you have defined your required reporting data into the system, you can display it on the e-Banking workstation or print it. The embedded report generator enables you to customise report formats to suit your particular requirements. e-Banking also incorporates an “events scheduler” which automatically executes tasks for you. Moreover, e-Banking offers Data Export/Import capability to/from other widely used Windows-based software (e.g. text, MS Excel, MS Access etc.). With e-Banking, you not only receive access to your accounts throughout the Bank’s network, you also receive information about movements through your accounts with other banks via the SWIFT multi-bank reporting capability. The user friendly design of e-Banking enables you to view your account details quickly and easily – account balance details, statements, and history information are all available at the touch of a button. You receive a full range of domestic and cross-border transaction initiation capabilities through e-Banking, including electronic funds transfer as well as paper based payment options such as drafts. e-Banking simplifies the cash input initiation process by providing you with features that improve accuracy and efficiency. These include templates for commonly used transactions; “look-up” tables for frequently used information such as bank, beneficiary and account details; and a “create from previous” capability that allows you to select one of your earlier instructions as a template for your current input. e-Banking provides you with a full range of trade transaction capabilities including, LC applications, issue, amendments, funds withdrawals, import collections and reimbursement authorizations. When making financial transactions electronically, strict security is of the utmost importance, you need to have the right safeguards in place to prevent people without access rights from tampering with the system. Standard Chartered’s e-Banking includes a series of features such as User Authorization, Password Protection, Authentication & Encryption and Tracking transactions through an Audit Trail to ensure data integrity and meet your security needs – all in line with industry-recognized standards. In today’s business climate, it is more important than ever to turn your receivables into funds you can actually use. Standard Chartered’s National Collection Services (NCS) is designed to help corporates with receivable collection requirements across Bangladesh. It provides faster funds availability in a cost-effective manner and improve the company’s liquidity. NCS offers a centralised system where you can maintain a single concentration account with Standard Chartered for all your countrywide collections. You may deposit cheques at our Correspondent Bank branches (currently 63 locations) in addition to the eighteen (18) Standard Chartered branches in Dhaka, Chittagong, Sylhet, Narayanganj, Khulna, and Bogra. Alternatively, we can arrange for a courier to collect the cheques from your offices at pre-agreed times. We have dedicated support at each location who will maintain close contact with your offices, dealers and distributors. They will collect cheques from these places and deposit them at our correspondent bank branches. Your single concentration account in Standard Chartered is credited on a pre-agreed value date for locations where local clearing exists. So there is no more guessing when funds will become available for your use. Moreover, for non-clearing locations, we ensure funds are realised in the shortest possible time. Since NCS quickens the speed of collections compared to the normal clearing/collection process, you can take the advantage of investment opportunities – or reduce your borrowing costs – instead of waiting. National Collection Services is designed in such a way that all funds for collection flow into your concentration account. There is no need for multiple local accounts with idle balances, and there is no need to handle multiple, time-consuming reconciliation tasks. Your ability to manage your business effectively is dependent on the quality and timeliness of the information you receive. You will promptly receive deposit acknowledgements and your Standard Chartered Concentration Account will be credited on the pre-agreed date (based on the cheque type you have deposited at the designated branches). You can also receive a comprehensive statement, detailing the deposits made at each of the designated branches and the funds due from them. In short, National Collection Services is a simple and reliable solution to your countrywide receivable collection requirements. 1 They are charging .10% with a minimum processing fee of BDT 100 for processing any deposit (including cash, cheques, DDs,POs) through NCS .25% with minimum BDT 300 and maximum BDT 1,500 charges for processing any collection cheques. 2 No return charges in NCS Return charges of BDT 100 for any dishonored collection cheque. 3 A flexibility of having the network Coverage at 50 Corrbank Locations and 6 SCB locations. Customer can deposit Cash, any kind of instrument in these branches. Guaranteed credit if the cheque is drawn on clearing area and faster collection (maximum 1 week) if the cheque is drawn on non-clearing locations. There is no such arrangement exists, any cheques drawn on outside SCB branches sent for collection and usually it takes 2/3 weeks to realise the cheque. 4 A pre-agreed credit-structure is given in NCS. For cheques deposited in any clearing location we are crediting the NZML with a pre-agreed turnaround time. For SCB it is next day and , in Corr bank clearing locations it is Day 3. If the cheques sent for collection normally there is absolutely no guaranteed turnaround time. It may even take months to realise the cheque. 5 A comprehensive MIS provided for all the transactions through NCS. We do have separate reports for Cheques & Cash showing respective deposit locations, consolidated total for a particular location and also depositor’s name. No such MIS available in normal procedure. 6 We do have return reports showing all the details including Return Reason, Return Date, individual Cheque Amount, Cheque number, Cheque Date, Drawee bank’s name so that the cheque can be easily marked and reconciled. No such MIS is available. 7 We do have a separate report called list of Relaised transaction showing details of honored/dishonored collection cheques. No such MIS is available. 8 We do have comprehensive charges report showing complete break-up including individual deposit’s break-up of charges levied in a particular month. No such MIS is available. 9 Cash flow forecast & Reconciliation report for easier reconciliation purpose. No such MIS is available. 10 Dedicated customer service support. No such dedicated service. 11. All in all a single point collection solution for New Zealand Milk products (BD) Ltd. There is not customized dedicated service for any specific customer. Standard Chartered is proud to present OPSPAY, a service for our Corporate Customers which offers automated bulk transfer (e.g. salary) processing from their corporate accounts. This will result in reduced errors and an overall improvement in your salary payment processing. OPSPAY processes your Staff Salary Payment by downloading your payment instructions in the form of a Floppy Diskette. The service ensures that appropriate narration is provided for all individual account credits (i.e. salary for the month of xxxxx) in account statements. Time-efficient: We can act on your instructions on the same working day if the Diskette containing the information reaches our concerned department before 11.00 a.m.
Error-Free: As the instructions will be downloaded directly from the Floppy Diskette, OPSPAY eliminates manual entries and minimizes the possibilities of any errors. The diskette should be accompanied by a written authorization, which will be used to validate the soft-copy details. The combined network of Standard Chartered Bank (18 branches, 25 ATMs) and a hundred-year old heritage in Bangladesh places us in a unique position to support your banking needs. Our branch network now covers Dhaka, Narayanganj, Chittagong, Sylhet, Bogra, and Khulna, which are linked through on-line-Banking services enabling you to operate your account of from any one of our branches or 24-hour ATMs. Our offer includes a vast range of financial products and services complemented by a designated Relationship Manager to manage your requirements with personalized care. The Bank will provide you with the convenience and security of a daily courier pick-up and delivery service at your premises for your routine-Banking transactions. The service is available for non-cash transactions like cheque deposits, trade finance documents, payment instructions, statements and cheque book requests. A comprehensive Daily Account Statement covering detailed transaction information will be made available to customers via fax every morning. It will contain complete transaction details up to the close of business of the previous day to facilitate better financial management of your precious cash resources. This facility provides you with a single window into the bank for all your transactional banking enquiry. Premium Service-Banking customers will have access by fax or by phone to an exclusive Corporate Service Unit (CSU) in the Bank’s Office at Dhaka, Bangladesh. Dedicated personnel are available to handle a full range of transactional banking enquiry relating to balances, account statements, cheque payment status and other transactions. The bank will pro-actively provide you with a fax report detailing all Inward SWIFT payment messages received by the Bank for your accounts with us. For the first time you will get to know about the receipt of such remittances even before they are processed in the bank. These messages will provide you with complete remittance details including amount and remitter information. In case you miss our daily courier or urgently need to send a telex or draft, we offer you an alternative; initiate your request for a payment via your fax machine. What is more, for Premium Service-Banking customers, the Bank commits to initiate remittance transactions for telex/SWIFT transfer instructions received by 1:00 p.m. For pay orders, the cut off time for Premium Service-Banking customers has been extended to 3:30 p.m. The Bank will arrange to provide information on Foreign Exchange and Money Market rates on a daily basis by fax. Our Daily Treasury News provides information on Foreign Exchange rates, key stock, bond, and interest rate indices, highlights from international financial markets and information on technical chart points. In addition, the Bank will provide with a clear and concise market commentary, in the form of a Weekly Treasury Newsletter, which covers the major financial events of the week and provides information on movements in major currencies, stock indices, commodities and USD Money Market rates. Payments Plus is a user friendly software which is offered to corporate customers of Standard Chartered Bank to facilitate the payments that they wish to make through its electronic platform, e-Banking. What Payments Plus essentially does is create a bridge between the customer’s own accounts payable system and Standard Chartered’s e-Banking. Typically the customer has to maintain a database from which payments are periodically made. For customers who are already used to the convenience of sending instructions electronically through Standard Chartered’s e-Banking, typing in the required information into the e-Banking template creates an additional level of work. This is where Payments Plus comes in. by utilizing this software the process of typing in all the requited information becomes just a single click of the mouse button. If the accounts payable system is maintained in a simple pre-determined format (typically in MS Excel file), then Payments Plus uploads the information from the file to e-Banking. What Payments Plus means for you? At Standard Chartered, we understand how important it is to stay informed of your trade commitment at all times. Our innovative information service now enables you to get an up-to date and easy –to read summary of your outstandings for your Import, Export and Shipping Guarantee positions. Trade Outstandings Report summarizing all your trade finance outstandings in the report. Guarantee Report details your outstanding from copy document endorsement for air, sea and road, Bid Bond and Performance Bond issuance. All reports can be delivered by fax, mail, or held for collection. They can be delivered on a daily, weekly, fortnightly, monthly basis or on demand. Web Bank can significantly enhance the bank’s service to you and will play a pivotal role in the future of your business. Our Corporate and Institutional web-site offers you comprehensive information on your accounts and a number of value-added features. You can also save these information as HTML, PDF or text format and take printout. In addition you will be able to find a comprehensive range of information about Standard Chartered Bank, its services and world-wide network. A major advantage of Web Bank is the user can access this web-site from any location through an internet connection only. In order to meet the rigorous industry standard of transactional security, we have adopted the operational and technology framework of Identrus Global Public Key Infrastructure. We have achieved the status of Identrus Global Certified Authority in 2001. Cheq Writer is an user-friendly software developed and owned by Standard Chartered Group, which is offered to corporate customers to facilitate the preparation, printing, and recording of Standard Chartered cheques. Cheq Writer also provides different types of MIS for a better control on your cheque payments. The Bank will supply the cheque printing stationary as and when requested by the customer. This is a pre-printed A4-size cheque form with two sections separated by a perforation. The top part is the counter foil of the cheque that can be used as a paper-record of the transaction and can also evidence the payee’s receipt. The bottom part is the cheque that contains all regular input fields of a conventional cheque leaf. An optional “Account Payee Only” marking for crossed cheques can be printed on the cheque leaf by CheqWriter. Ø Professional counterfoils, which can be used both for recording purposes as well as receipts. What are the hardware requirements for CheqWriter? Ø Hard Disk drive with 25MB free space. How can you benefit from CheqWriter? Ø provides full audit trail of all transactions. Access to CheqWriter can be parameterized through user IDs and passwords. Users can also be assigned with different access levels to avoid unauthorized use of CheqWriter. We are pleased to introduce Billspay, the most convenient way to settle your monthly utility bills. Billspay will not only provide convenience but also allow flexibility to pay your bills as and when you choose. Once you sign up for our services you will no longer have to go out of your way to pay bills for electricity, mobile phones, internet, etc., every month. Billspay provides one-stop payment solution where we will debit your account to pay your bills. Choose Auto Billspay to outsource your utility payments to the bank. The bank will collect your bills directly from the billing company and debit your account to pay them according to their billing cycle. All you have to do is sign up once and completely forget about your bills… we will take care of them. And if you’re not comfortable with paying in a date deterSmined by the billing company, we have Billspay Regular for you. You can send your bills to our bank at any day of the month by a messenger and we will pay off your bills and stamp “PAID” on your receipts. Or simply choose Billspay Express to enjoy the benefits of both the services mentioned above. You decide when to pay and we’ll send in our people to collect your bills from your premise(s). We will pay off these bills, stamp “PAID” and send them back to your office. To sign up for Auto Billspay you have to give us detailed billing information. Information like meter number (for payment of electricity bills), billing company’s name, billing date (for payment of mobile phone bills), customer’s name and signature should be given at the time of sign up. You should also provide a copy of the relevant bill statement(s). To enjoy Billspay Regular or Billspay Express all you need to do is accept our banking service proposal customized towards your requirement. General Banking of Janata Bank Limited.